At the foot of the Sierra Bermeja mountain, Estepona has a population of 37,000 and is located 45 kms from Gibraltar airport and 80 kms from Malaga airport. Estepona has managed to retain it’s true character throughout the years. 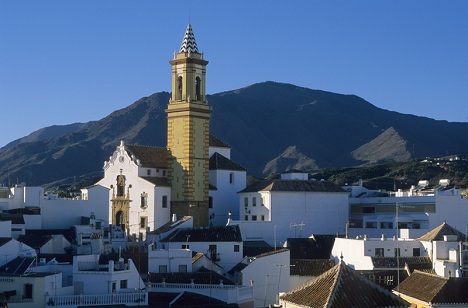 This lively and charming town enjoys Andalusian cobbled streets, Spanish tapas bars, bodegas and numerous shops and boutiques. Little is known about the history of Estepona town, as record books were lost during the Civil War. Its history involved the Phoenicians, the Romans and the Moors. There are no substantive Roman remains to be seen in the town today although a few foundations and ceramics have been found. saved. There are 7 ruins of watchtowers along the beaches of Estepona. These are either Castilian or Muslim in origin and helped form the defence of the coast well into the 19th Century, and proved effective in holding off attacks from pirates that came from North Africa. Offering a total of 17 sandy beaches, Estepona Port and Marina, offer all year round family fun and entertainment.